How big is your customer universe? We will right-size a marketing plan for you. 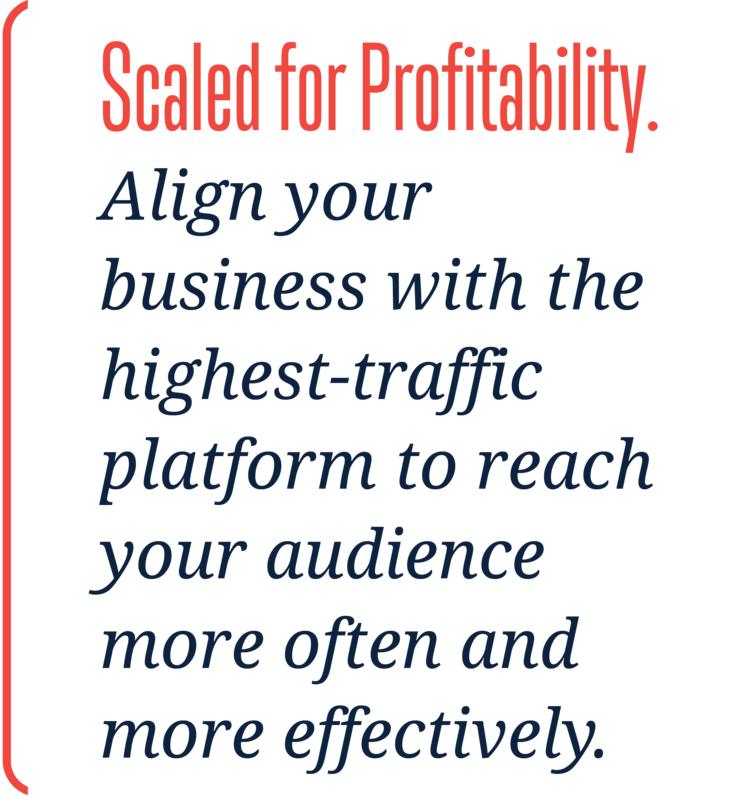 Scaled for profitability. From local, regional, or national reach — our audience scale, local marketing experts, and digital know-how will lead to profitable results for your mid-size to large business. Make each interaction count with complementary solutions, working together to reach your goals. Digital and Print Display Ads keep your brand and message at the forefront — helping your business maintain visibility, create awareness, and allowing you to target active consumers with distinct calls-to-action. Search Solutions including Search Engine Optimization (SEO) and Search Engine Marketing (SEM/pay-per-click) work together to ensure your product or service is visible and targeted throughout the buying cycle. Sponsor Content positions you as the expert, delivering your message to your target alongside our news content. Our team will write, optimize and post it for you while you reap the rewards of increased awareness and credibility. Data and audience are powerful. Pair them with a great story, and your brand will be unforgettable. 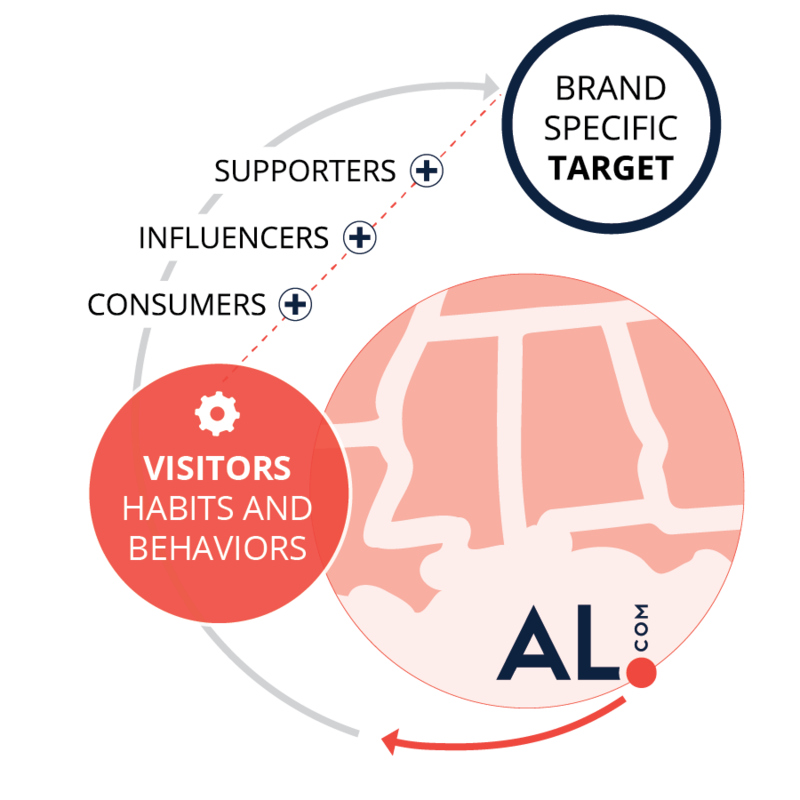 Partner with Alabama Media Group to create the most profitable customer experiences that are engaging, shareable, and personalized. Align your business with the expertise, data, and platform that’s scaled for profitability. You’re willing to invest in what works — which is why we deliver solutions with measurable results that you will be able to see as they propel your business forward.